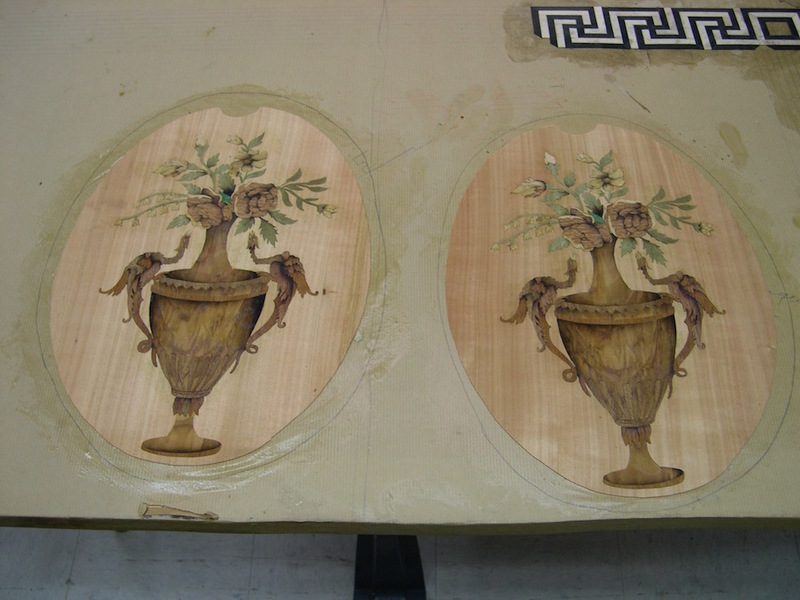 Here is another example of couple marquetry panels I did for a guy back east, I kept some for myself. 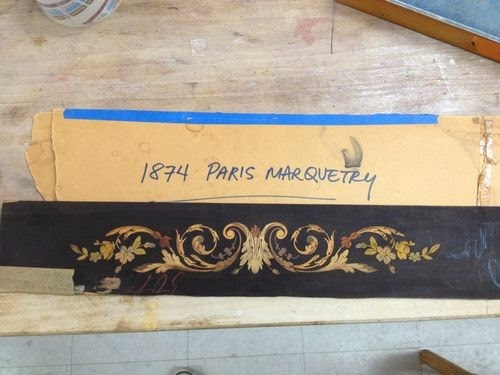 Wood is the glue side and the paper is the face side holding the marquetry together. 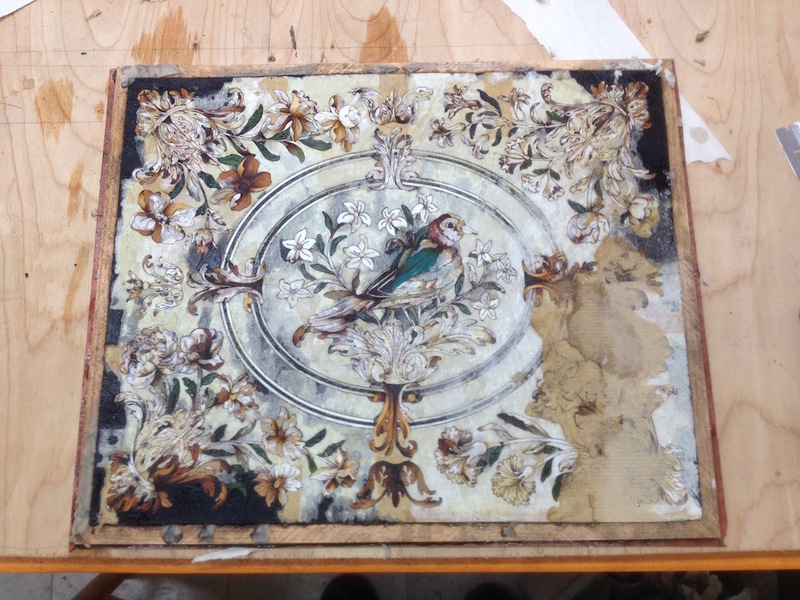 It already has mastic and is ready to glue down. 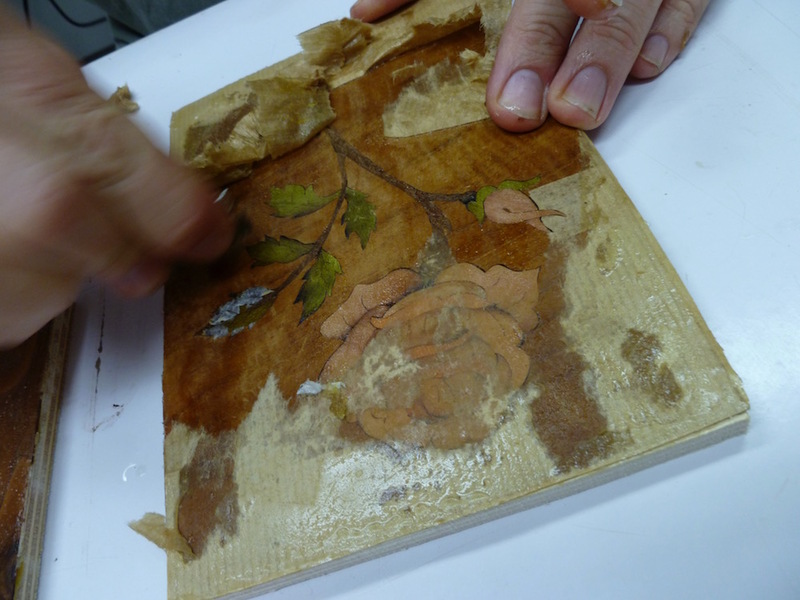 Once glued remove the paper with cold water, sand and finish as you like. 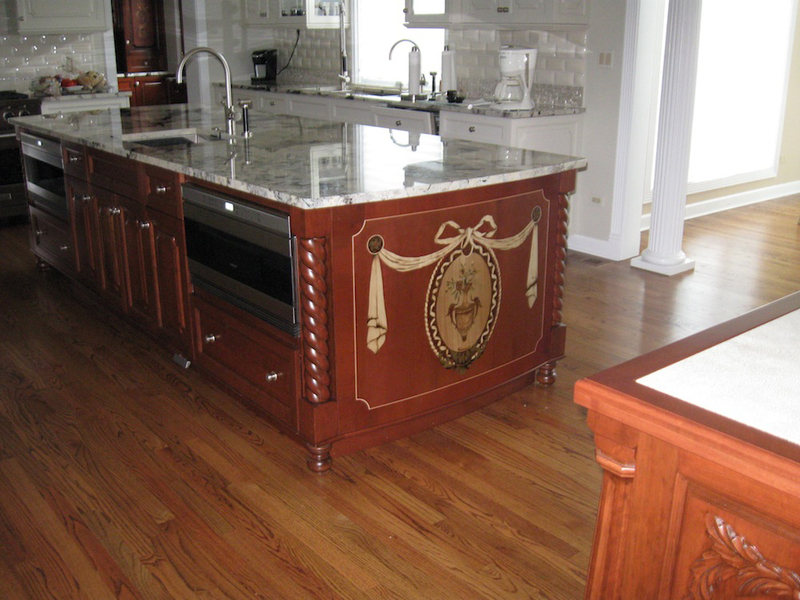 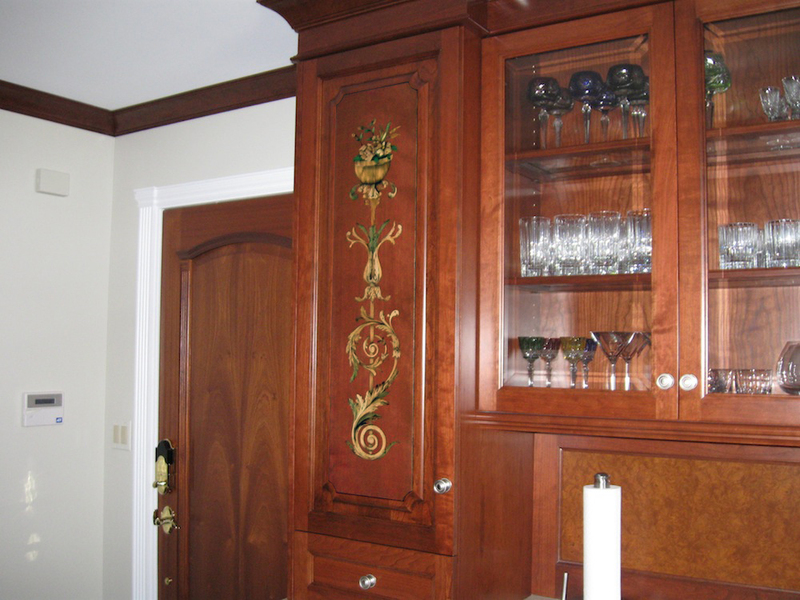 In 2011, designers in Chicago sold the idea of marquetry panels on kitchen doors, but there cabinet maker, was not confident with his marquetry skills and hired us to provide those decorative panels. 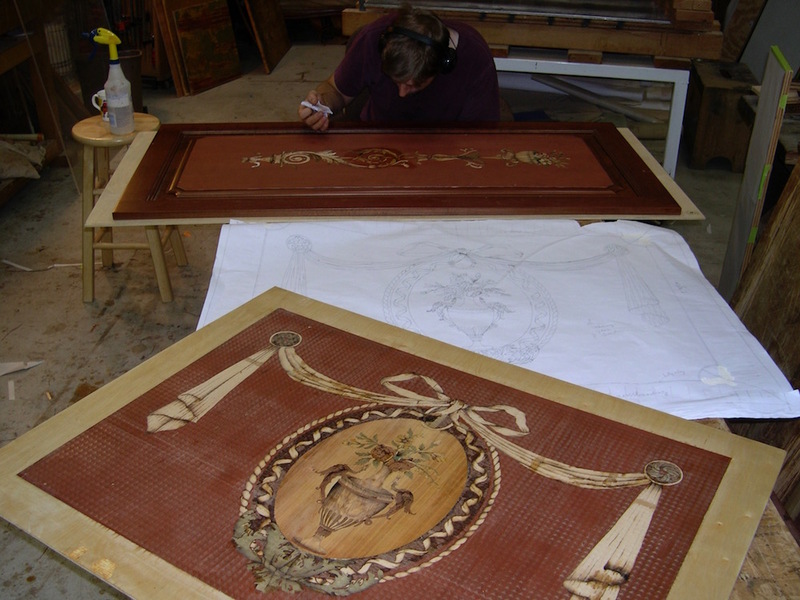 Working on a budget we proposed designs on the desired style which were approved prior to cutting the panels. 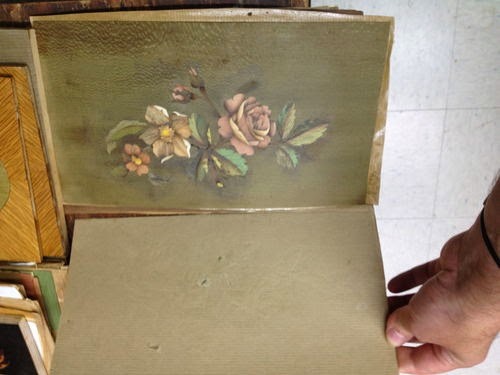 and assembled in a custom dyed background. 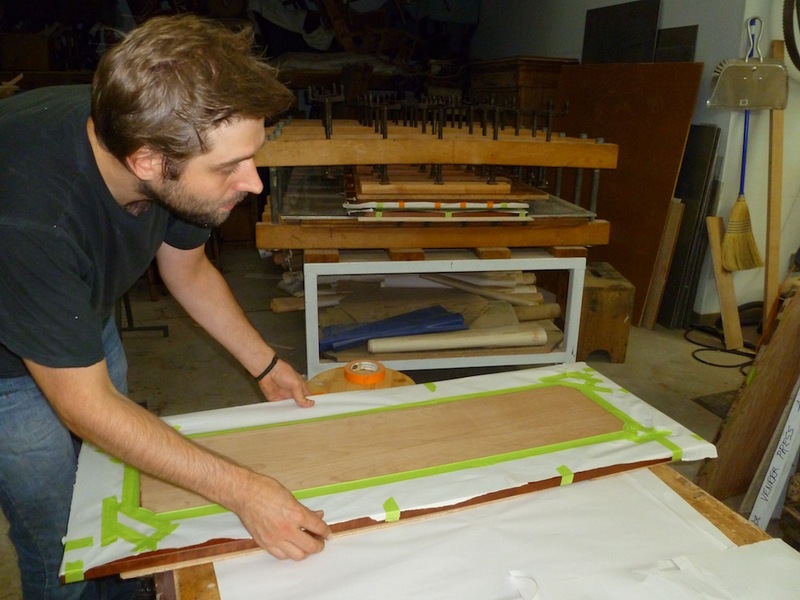 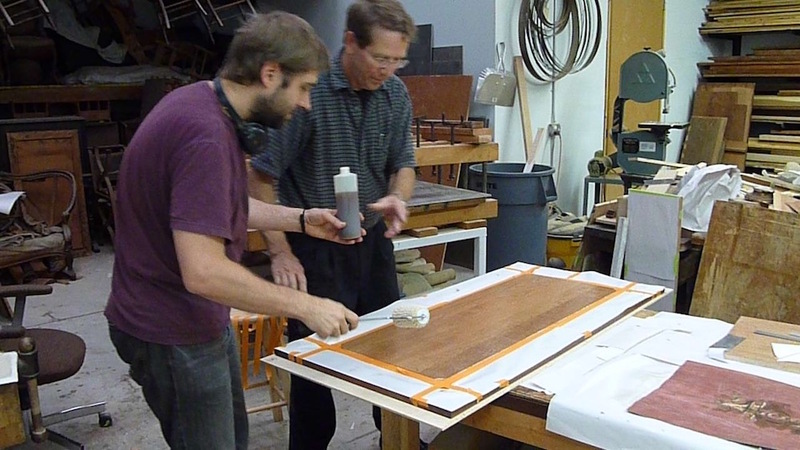 As the cabinet maker sent us his panel for us to veneer instead of us shipping the marquetry panel on paper and glueing it himself, we decided to use a sticky plastic to control a possible bleeding of the dyed wood. 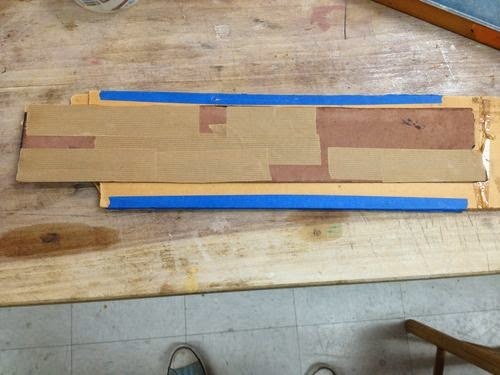 in fact, an unnecessary precaution. 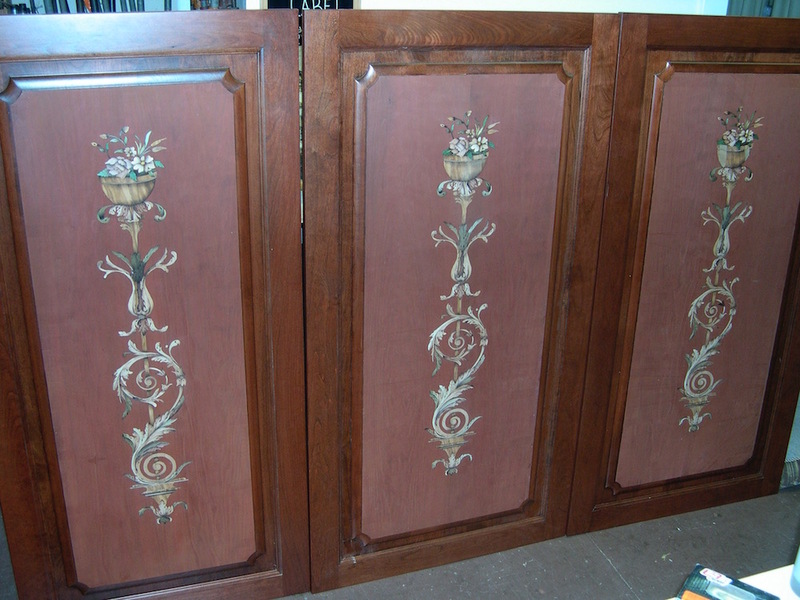 Apart for the 2 end panels we had 2 short doors. 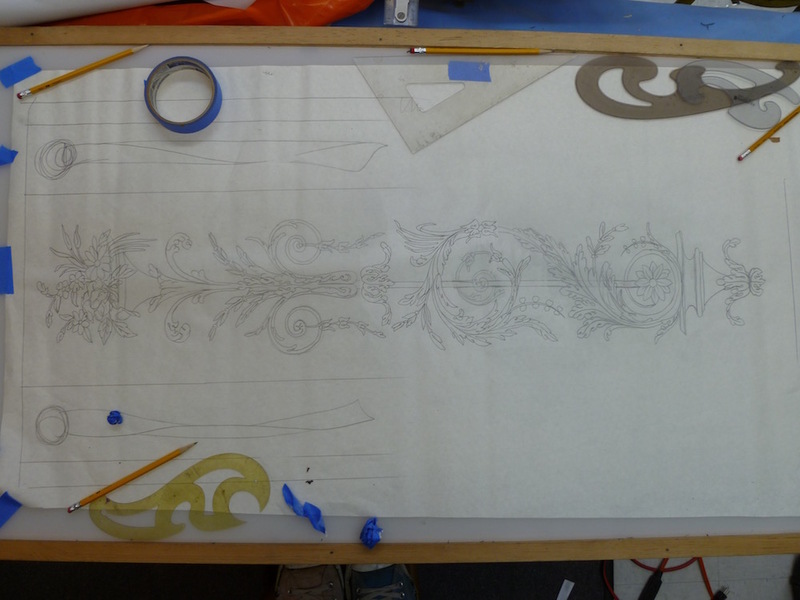 So while cutting the background we had to pack one of 2 and one of 3 when we were done cutting the short background we remove the short pack and finished cutting the long one.